Circuit creates value for startups, small and medium-sized companies as well as global enterprise with 100.000s of users. 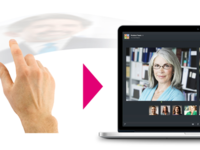 Circuit improves teamwork by bringing together voice, video, screen share, messaging, and file sharing into a single tool with one view accessible through multiple devices and platforms. Circuit integrates with workflow apps like Box, Google Drive and Syncplicity, and offers a broad range of APIs for custom integrations. 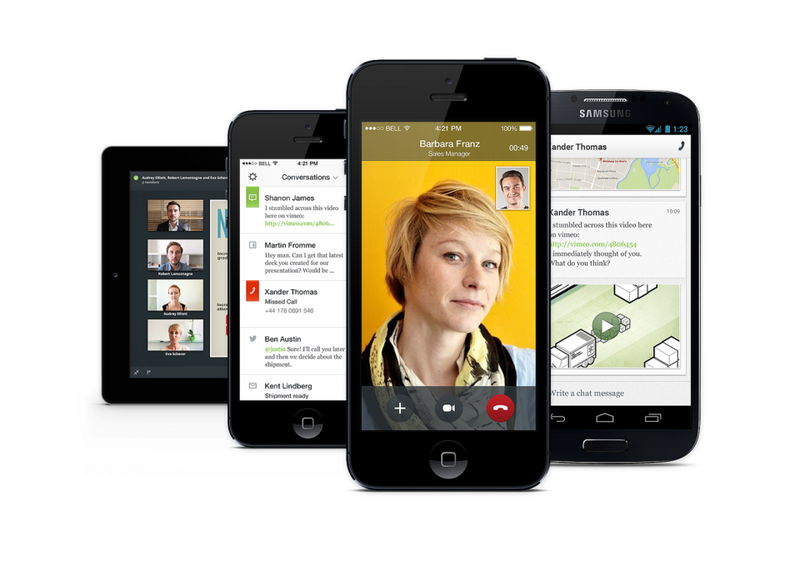 As a cloud collaboration platform, Circuit also integrates with existing telephony solutions. Collaboration tool for serious businesses. Pros: Circuit is an extremely efficient way for me to organize all of my inter-team communications in a single workspace. It allows me to work remotely very efficiently and manage projects and teamwork inside the company and with partners. It does all of the important communication functions very well - including recording meetings for those that cannot attend and it has amazing up-time so it's reliable enough to be the central communications vehicle for a company. Cons: I wish you could delete old conversations. I archive and keep my conversations organized, but there are some that would be just better to delete. Overall: Remote work and team management. 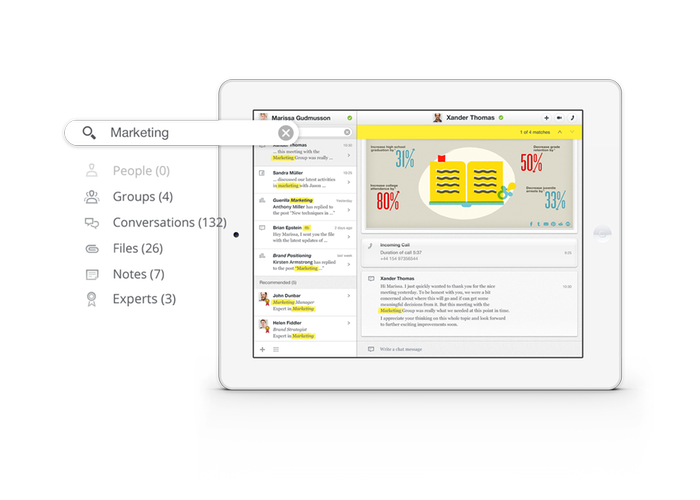 Great tool, I love the conversation structure and having all on all device on all time! Pros: I can find docs, infos, conversations, notes, ecc. everything inside a specific "room project". I love screen sharing and video as simple over every network. 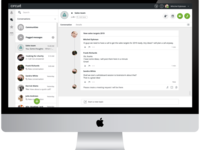 GREAT to have a call bridge features for every customer in just a few seconds! Cons: I can only "mute" and not "archive/delete" older or wrong things. Overall: Best experience in handle evolving project with my team-mates. Less email traffic (and confusion). NO SPAM! Only focus on things that are important for me! 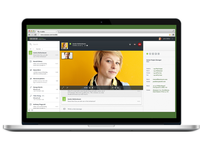 Pros: Easy of use, integration of file sharing, desktop sharing, voice, video and offline conversation. No installs, works on a browsers on a PC. Do like the native client on iOS with callkit integration. Cons: Need enhancements to manage large communities better. Need statistics for large communities. Circuit is an excellent product that is extremely useful for us here at Nimans. 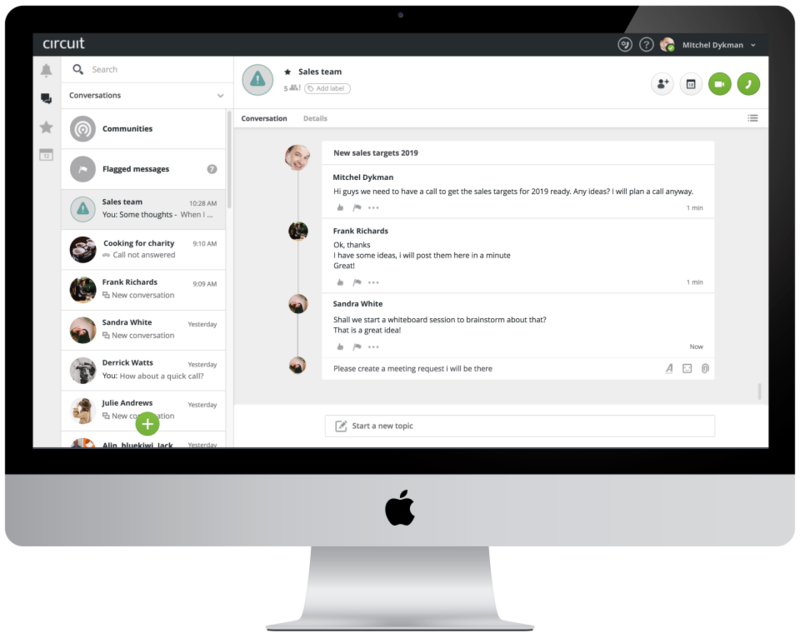 Pros: The ability to enhance teamwork, by bringing Voice, File Sharing, Video and much more into one easy to use platform across multiple devices. Cons: The inability to delete conversations. Having an abundance of aged conversations in the left pane can be messy and could be organised much better with the ability to delete unwanted conversations. Thanks for your review and feedback, Scott! You can always leave or mute conversations so they don`t show up in your stream anymore. What we see with users that are more and more active on Circuit is that old conversations move down the stack very quickly. We are working to lift the limit to the number of conversations you can mute to >50. A professional tool for businesses. Better and more reliable than skype etc. Well integrated. Pros: German based company, service hosted in Germany, not in US - a must for all companies that are subject to compliance! Good modern look-and-feel, easy-to-use. We tested it with our non-tech-staff and they instantly mastered in intuitively! Personal support from circuit at highest level. Competent, friendly and open for input and suggestions. We don't just need a tool, we need it to work reliably - circuit ticks those boxes for us. Cons: No real cons. Some very special features that we need still under development, but that's actually a pro I guess. Pros: How I Can communicate with my partners or customers around the world with message and video call of way safe and quick. Cons: I can't erase chats or messages with my parnerts. Overall: I use Circuit everyday to talk with my parents about possibles bussines strategies, meetings, courses... I like so much this application furthermore Circuit is cell applications. Thanks for your feedback, Daniele. Can you elaborate a bit on `the look`? Cons: One of the things we dislike about this software is being unable to change the layout or delete existing conversations. Pros: Ease of use and persistence of information in a single straight forward user friendly interface. Easy team management and collaboration. Cons: Very few, not clear on transference of or data residency. It would be nice to be able to select region of data residency or restrict. Not sure if you can customise/rebrand to meet own internal marketing. To be honest I have not researched these elements in fine detail. 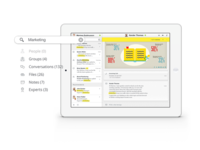 Overall: group emails with attachments disappear, create private conversation with a colleague or more. Circuit has revolutionalised the way I work - which has really surprised me. Cons: I am now getting frustrated when people just don't seem to how powerful Circuit is. I can do more when they collaborate with me. Overall: Speed. I waste less time, get more done and can organise meetings across internal teams and guests so fast. Pros: The ability to screenshare and ad hoc add other Circuit users to the conversation, truly an excellent collaboration tool. Pros: I like how easy it is to make a conference with partners..
also The telephony connector to my SBC! Intuitive and easy to use. State of the art. This is how to work nowadays. Same look and feel on all devices. Cons: Sometimes the telephony-function is down and there´s no way to find out why. The iOS-App is not "always on". New messages or calls are not shown just in time. 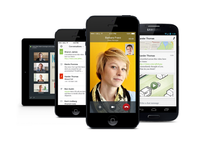 Pros: Circuit is in the top tier of applications for Unified Communications. Like others Circuit allows you a better mobility and integrations with the rest of the solutions that Unify offer. Overall: By now I've get used to it. For a better communication in the office or the outside. Like chat and groups that always keep the things we talk about. Compared to many of the other collaboration tools, like Skype4Bus Circuit is a breath of fresh air. Pros: The looks and the easy of use, it all makes perfect sense and requires little effort to grasp more complex features. Cons: I probably need to spend more time looking at the advanced features but so far I've not needed them. Pros: I like that I am able to access the software on my work laptop as well as my work iPhone. It makes it easy to use and accessible while traveling. Cons: Overall, there are no huge cons I have with the software. I think that the way the chat notifications show up as a red circle (appears that you are missing a call) could be changed to differentiate between the two. Overall: Circuit makes it very easy to share content with coworkers located in different states. On a daily basis I use it to connect with a colleague that usually wouldn't be easy to collaborate with due to distance. Cons: The fact that it has to be regulated by the telecom regulatories puts a restriction on selling the solution in certain countries. The franchise model is a bit expensive. 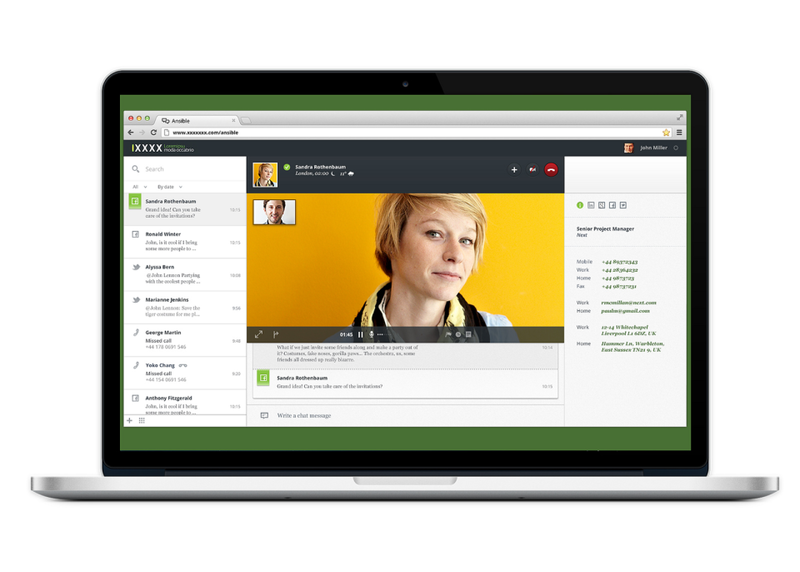 Overall: Easier collaboration and information sharing helps in setting up meetings and increase productivity. Thanks for our Review, Mona! If you want to clean up your activity stream, you can leave or mute group conversations. Pros: Good synchronization with Outlook contacts and calendars/meetings. Options for external guests to dial in. Cons: No ability to delete old conversations, so homepage gets cluttered very quickly. Easy to use and designed very well. Good functionality and supporting all the platforms. Friendly. Pros: The ease of use and the functionality, not sure about the full features as i have only used the free trial version. Cons: The Support, I think it was released to early without people actually being prepared for the product and when you ask its well you have to do the training. Pros: I don't really know of any pros to say about this software.